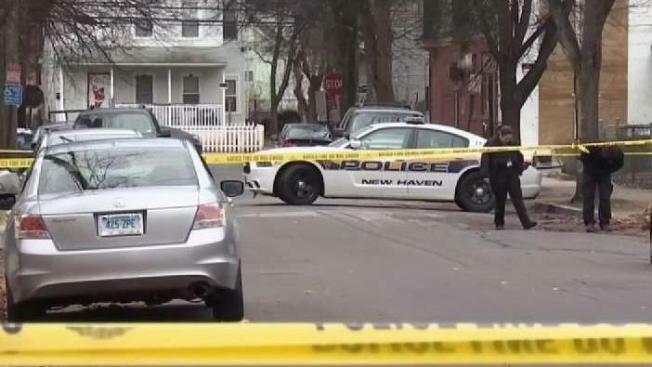 New Haven Police Investigate Deadly Shooting on Dorman St.
New Haven Police are investigating a deadly shooting that happened on Dorman Street on Saturday night. Officers responded to a ShotSpotter activation on Dorman Street shortly before 7 p.m. When police arrived, they said they found a gunshot victim, later identified as 44-year-old Samuel Hooks, of New Haven. Police said Hooks was taken by ambulance to Yale-New Haven Hospital and was pronounced dead shortly after being admitted. A portion of Dorman Street was blocked off for several hours. On Sunday morning, officers returned to the scene and appeared to be searching the area for more evidence. Police have not released any suspect information or a possible motive. Investigators ask anyone with information valuable to the case to call detectives at (203) 946-6304. Calls may be made anonymously.